I am always being asked, “What’s new at Hoffman Media?” There is always something going on here and always something new, particularly with special issues of your favorite magazines. But today we are launching something truly new: Classic Sewing Magazine! Classic Sewing will have 132 pages of glorious sewing ideas, patterns, tips, and techniques and will include at least two full-size patterns in each quarterly issue. The magazine will feature heirloom and everyday sewing projects to delight the most discriminating sewist. Patterns will come in a separate envelope along with the magazine. No more tearing out pattern sections; all of the patterns will be easy to read and store! Unlike anything you have seen before, Classic Sewing will feature designs from top designers in the industry. The magazine has something fabulous for everyone. Launching a new magazine is always fun—but also challenging! When we decide that a topic will grow and thrive as a regular periodical, that’s about all I can think about. The topic starts to consume my mind! Such is the case with Classic Sewing. I have never seen so much excitement for sewing than today. I have shared with you my love of sewing, and apparently there are many more like me who are sewing for children and grandchildren. When we began building the concept for this magazine it was fun to talk with women who want to learn to sew and monogram. One of my colleagues said that beginning sewing classes across the country are filled with waiting lists. It’s marvelous that people today still have the desire to create one-of-a-kind garments. I grew up with a mom that made all my clothes, and I loved the fact that they were unique to me. I have come to the conclusion that it is just as rewarding for the maker as it is for the wearer when a young lady wears a new handmade dress. 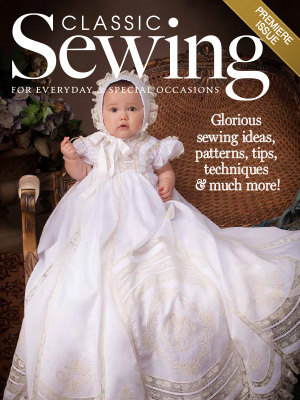 Today, you can begin subscribing to Classic Sewing. If you are not a sewist, then perhaps you know someone who loves to sew and would enjoy this magazine. Please share this announcement with them. Thank you for your encouragement and love of all things beautiful! What do you love about sewing? Congratulations on another marvelous idea come true! In the little movie your sparkling eyes speak of a sparkling brain.Teaching with such joy and enthusiasm is a great gift. Wishing you continuing success! I am so excited about your new sewing magazine! I can’t wait to get my first issue! Thank you Beverly. It will be full of wonderful sewing ideas, patterns and tips. What’s this! inclusive monograms, now your speaking my language..
Congratulations and look forward to your premier issue and enjoy the journey with you and Hoffman Publishing. Thank you kudos! I just subscribed and am so excited to receive the first issue. Best wishes for a very successful launch! Pat B.
thank you, thank you. i am waiting for the first issue!!! Just subscribed!! hope I get a confirmation email. Many sewists have been waiting for this magazine to come out. I love the peace and quiet that working with my hands brings me. I embroider and I would love to sew. Will your new magazine address beginners? Hi Vanessa! I too love hand embroidery. If you aren’t already familiar with working on a sewing machine, however, Classic Sewing probably isn’t quite the right fit. We will have beginning heirloom sewing, but that will be for sewists who are already familiar with following a pattern and using a sewing machine. Oh Phyllis, I did not have Mom that sewed. Took college prep in school…. No sewing there. I have a portable machine…. I mend. Will your new magaIne have tips for beginners!!!! I adore the stories of your sewing! I too have an Amelia… And an Evie. Please say you will have a small section for beginners. I also love monograms! Would love to do my own! I do knit and crochet….. So have my heart in the right place…just never learned to sew. I enjoy all your magazines…. Anyway, think about this. Thank you. Hello CJ – If you are already familiar with using a sewing machine and can follow a basic pattern, there will be beginner content that should be a good fit for you. We will have beginner heirloom sewing that you might really enjoy learning. Oh! I am sure that millions of sewists are applauding right now! With the high quality of all Hoffman Media magazines, I am certain that Classic Sewing will be beautiful, instructional, and inspiring. 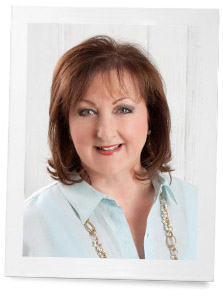 Congratulations, Phyllis, you and your team always come up with publications that are divine. Lidy thank you. The response has been wonderful. We are so excited to be back in this wonderful industry. Kathy McMakin is an amazing editor. Hoffman Media never ceases to amaze me. I have no doubt it will have the same exquisite quality that is Hoffman’s signature status! I am waiting for the first issue..good luck, and thank you!! thank you Sherry, please share with your sewist friends!! OMG! I cannot wait to start getting this magazine! truly a dream come true! Thank you Dottie! we are excited about our new publication.